From the vast amount of gear that they seem to need to the swirl of "what if" questions, camping with kiddos is not for the faint at heart. 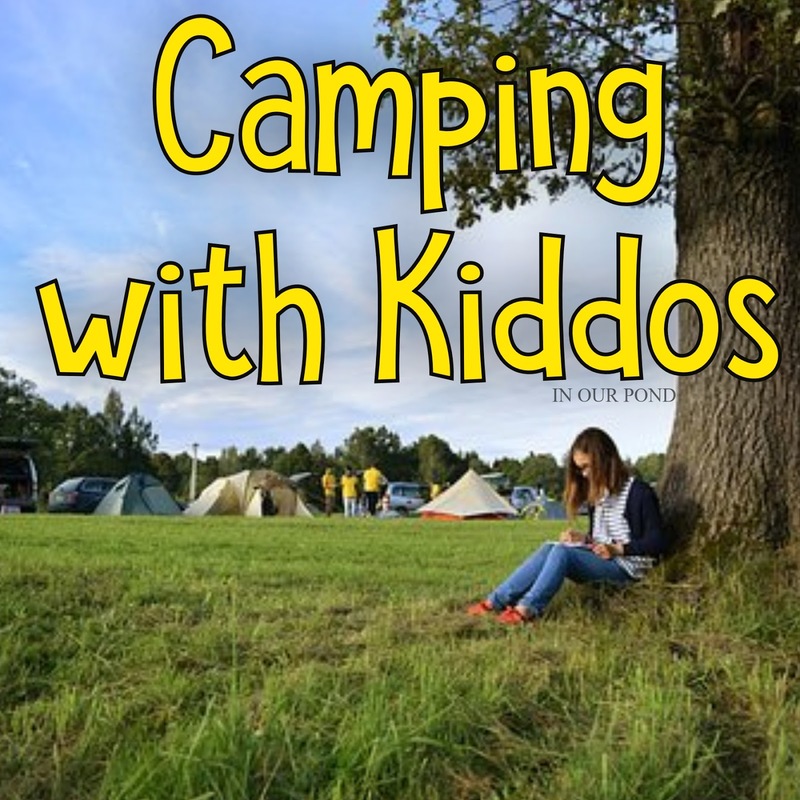 After sharing my experiences in person and on internet forums, I decided it was time for another camping with kids blog post. Last year's post was about getting kids mentally prepared for camping. This year, I want to focus on the actual event. Because we usually camp in the mountains, we pack clothes for cold and hot weather: sweatshirts and shorts, swimsuits and coats, flip flops and rain boots, plus pjs. It's a lot of gear, but there are few things worse than being cold and wet. I usually bring a laundry basket to throw dirty clothes in or to collect stuff from around the campsite at night. Each kid would probably appreciate their own camp chair and their own sleeping bag. We bring a queen-sized air mattress for the kids and pile them on it. I'm sure they could sleep on the ground, but I think this keeps them warmer. 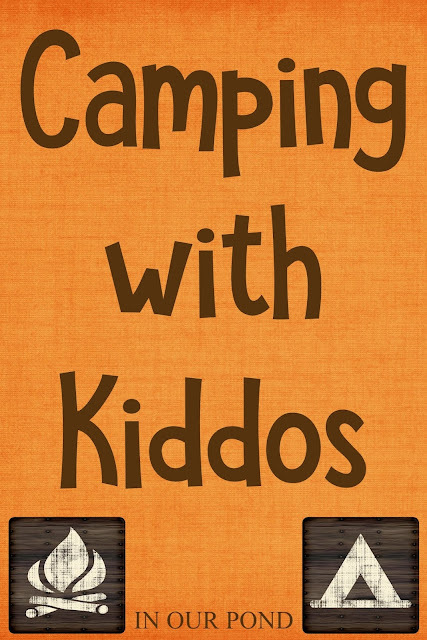 Probably the biggest concern for parents who want to bring kids camping is safety. We have five rules that my kids (ages 5, 4, and 3) can recite. We set the camp chairs around the fire, and the kids are supposed to stay behind the chairs. If adults are sitting around the campfire, then the kids can get help to sit in their own seats. We're constantly reminding the kids that fire is dangerous. Camp food doesn't have to be only hot dogs and s'mores, but kids love them! Carry on traditions from your own growing up, add some new ones, and make some family memories. An easy way to clean up sticky kids is to give them a bath. Water can be heated over the fire for a "spit" bath or can be added to cold water in a plastic tote to make a soaking tub. Or, you can take a tip from the developing world and fill a plastic jug or tote in the morning and leave it in the sun all day to warm up. After dinner and s'mores, wash up the young ones, and dress them in diapers and pjs. Then, the kids aren't allowed to touch the ground until morning (wink). Camping is supposed to be fun! We love to bring trucks and digging tools for the beach and campsite. Glow sticks are also a must for us. Older kids love to play with the light (try a capture the flag game or take pictures of the glow). Younger kids can use the glow sticks as "light sabers" to fight shadows or as a nightlight in the dark tent. Group games like Bocce Ball are great for family fun, and we always have lots of table games (cards, board games, etc) and coloring to do at the picnic table.